The NCAA’s intitial eligibility requirements are all about making sure high school students make steady progress through a basic education that should prepare them for college. For most prospects, getting eligible is a simple task: take four core courses every year, get good grades, take the SAT and/or ACT a couple of times and graduate from high school. But for others, eligibility can be a stop/start affair. There are a number of reasons for it, but if a student falls behind the pace the NCAA expects in initial eligibility, he or she will need to put in some extra effort to make sure academics are not a barrier to getting a scholarship and playing in college. Just a couple years ago, getting back on track with initial eligibility was relatively easy. Students could enroll in online courses or credit recovery that could be completed in a number of days or with just a few minutes of work here and there over the course of a semester. But abuses like semester-long courses completed in a few minutes lead the NCAA to introduce new requirements for nontraditional courses, which includes everything except traditional classroom instruction. If you need to retake a course or add a course either to get extra credits or to improve your GPA, a traditional class in a classroom during the academic year is still your best option. 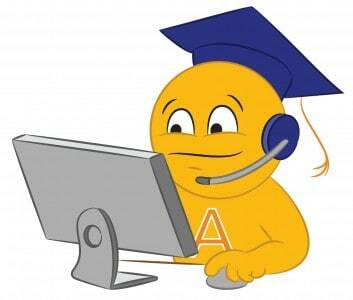 It avoids issues with online or correspondence courses and is easiest to verify that the course will count for initial eligibility purposes. If you cannot take another regular course, summer school is another option. Watch for summer school that is actually just online courses taught in a computer lab. Those have many of the same problems as taking an online course on your own. Also keep in mind that if your summer school is through a different high school or district, you will have another transcript that must be sent to the Eligibility Center. 1. Make sure the course is approved by the NCAA as a nontraditional course. If the course is being offered by your school, make sure they got it approved or find out who the provider is and see if they have an approved core course list. 2. Check the appropriate time frames for completing the course. Most nontraditional courses approved by the NCAA require a minimum of 6–8 weeks to complete. 3. Work on the course consistently. Either work it into your school schedule or set aside some time (an hour or two) every day to study and complete assignments. 4. Complete every assignment and exercise. Even if work is not graded or all you need to do is take quizzes and tests, do all the assignments just like you would in a regular class. 5. If you’re doing the course on your own, keep a log of the time you spend on the course, and when you start and finish each assignment. If the course is online and does that for you, print off a copy regularly for your records. 6. Keep a copy of everything from the course. That includes the syllabus, outline, every assignment, copies of papers, test and quiz answers (if you can get them), grade reports, etc. The reason for all this is that with self-directed courses (where the student decides when and for how long to work on the course) there is the additional potential hurdle of PSA Review. In PSA Review, the school and the prospect must show that the course was completed in an “academically sound matter”. That means the student did all the work, did not skip sections or rush through the class, and all grades and scores were legitimate. The easiest way to get through PSA Review is by showing documentation that the class was as close to a normal course in a classroom as possible. The other major point to keep in mind is that if you fail a course or need to improve your GPA, do so at the next possible opportunity. Not only are there new requirements limiting the amount of work a prospect can do their senior year, but high school builds on itself. If you do poorly in Algebra 1, it makes Geometry and Algebra 2 that much harder; it’s best to take some time out to fix a problem right away and get back on track. Do you have questions about what courses you need to take to become eligible to compete at the NCAA level? Just ask us in the comment section below, or connect with us on Facebook, Twitter, or Google+!